Sarah Achieng Ndisi re wraps her wrists during sparring at Kariobangi Community Centre. Sarah is a Boxgirls graduate and coach. 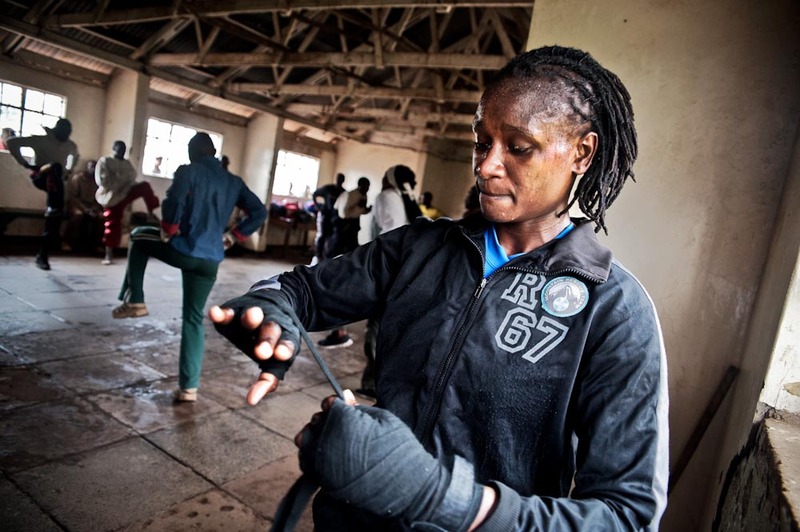 She is currently the best professional female boxer in East Africa under the feather weight category.